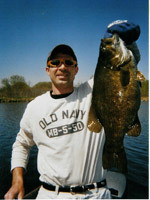 Top bass fishing guides in Montreal recommended by Freshwater Phil. Catch the bass of your dreams with these bass guides. 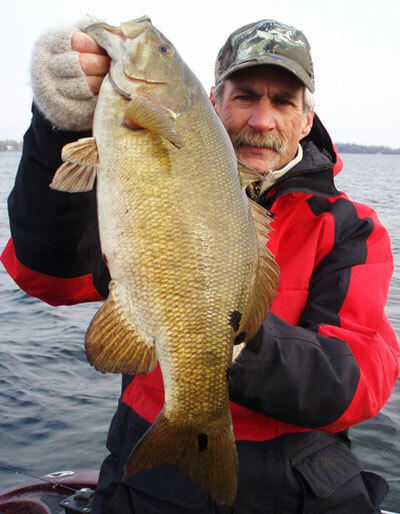 The region surrounding Montreal is packed with and abundance of big smallmouth bass, as well as some very nice sized largemouth bass. Bass up to 4 lbs can be expected on any given outing, and on certain waterways, they go up to 6+lbs. Bass usally hit lures hard, and provide a spectacular fight for their size, often leaping out of the water multiple times during the battle. Bass fishing guides will take you bass fishing at their hotspots, techniques typically include casting or finesse fishing with drop shot rigs or tube jigs. Bass fishing season opens in mid June after the spawn in our region, guided outing are available all the way through the open water season until winter. Boat specs: 20' Triton bass boat, 200HP motor, GPS/fish finder. Techniques: Casting and finesse fishing. Daily rate: $350, tips welcome. Contact Jimmy about a guided fishing trip by clicking here.